I haven't played sport in a while, but I used to like playing tennis. I liked playing other sports such as volleyball, basketball and soccer, but out of all of them, tennis was the one I put more time in. 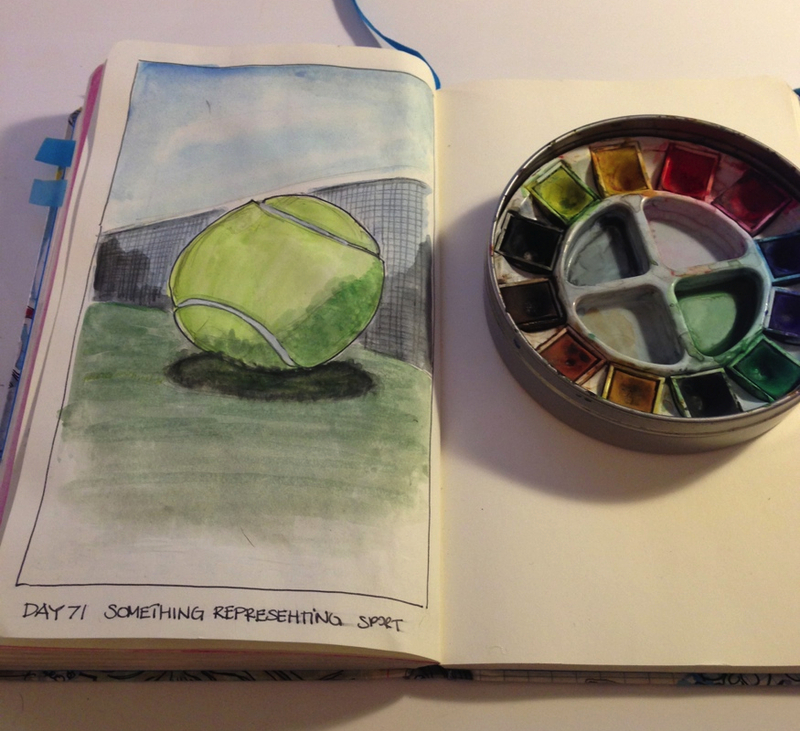 So for today's challenge I decided to draw a tennis ball.